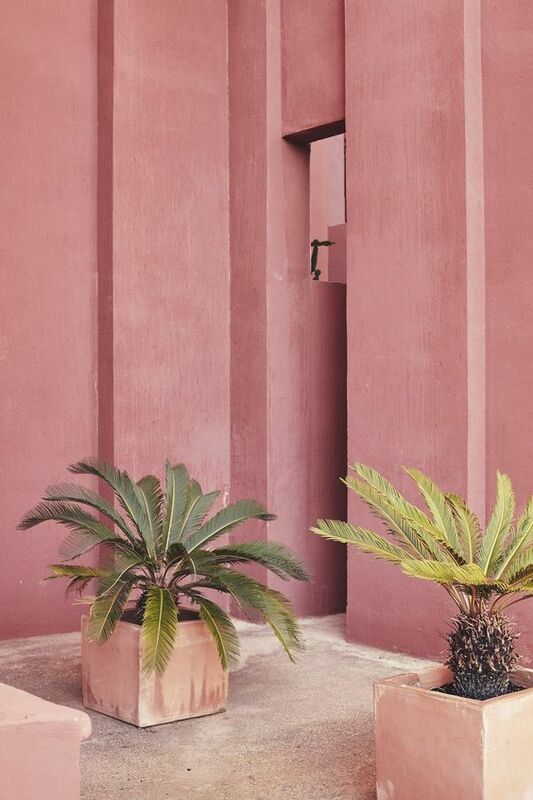 In case you hadn't noticed, pink, specifically pale pink, is having a moment. From the catwalks to sofas it's all over the place right now, and that is fine by me! 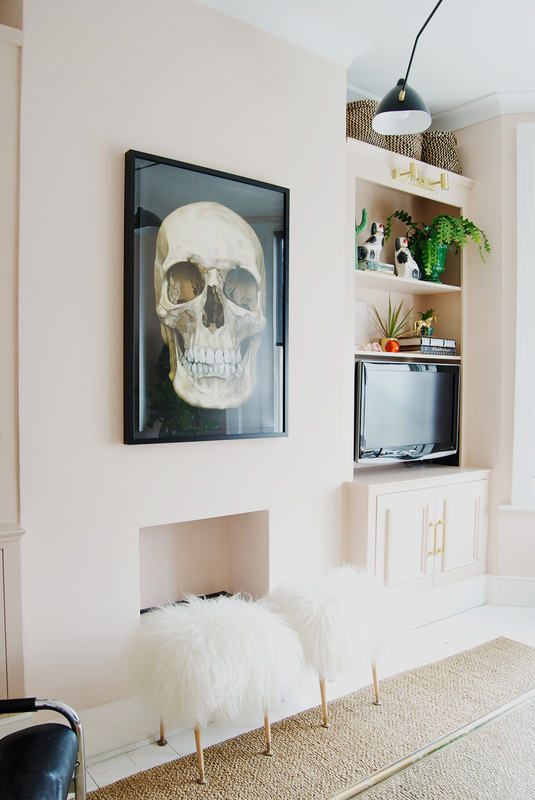 Blush and pale pinks are such easy colours to live with. Well actually, they're easy colours to wear too, but we won't get into that here, I'll leave that to the fashionistas, but yes, I can say with confidence, they're easy to live with. Around this time last year I painted my living room in the softest pale peachy pink, and guess what? I STILL love it! I know, unheard of from me - the woman that gets super bored super quickly. I've been known to change the colour of a room twice in 12 months, but I've not even considered changing this. It must be love. 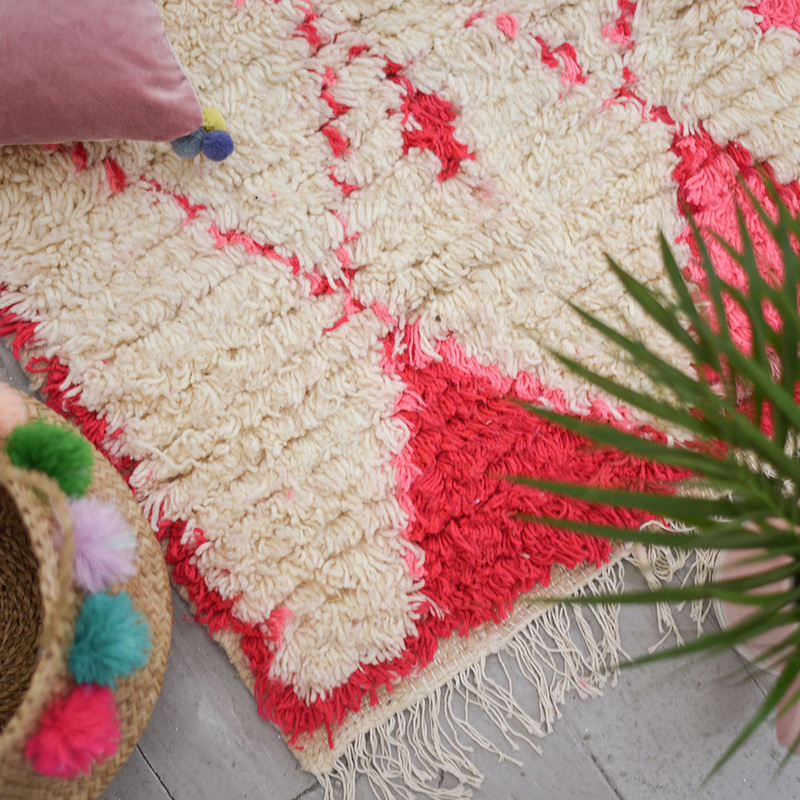 Today I'm really feeling all the pink (I think it's helping me cope with the miserable 'summer' we're having in London), so I thought I'd chat about a couple of great pink things for the home that I've spied recently. 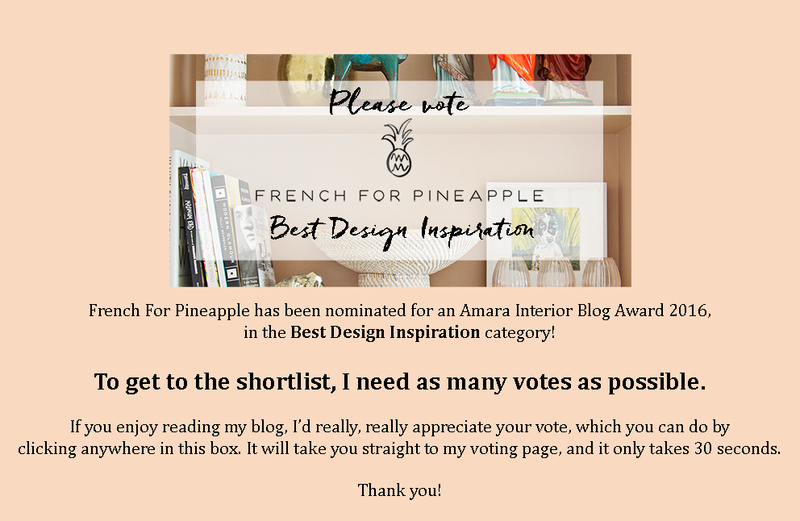 You can also see my recent post HERE all about pink sofas and chairs. I'm seriously in love with the Charlotte Chesterfield from Love Your Home. I can't stop thinking about how great it would look in our pink living room. Mind you, I'd pretty much have to ban the kids from that room altogether, but you know, sacrifices have to be made sometimes. Kidding. Kind of. 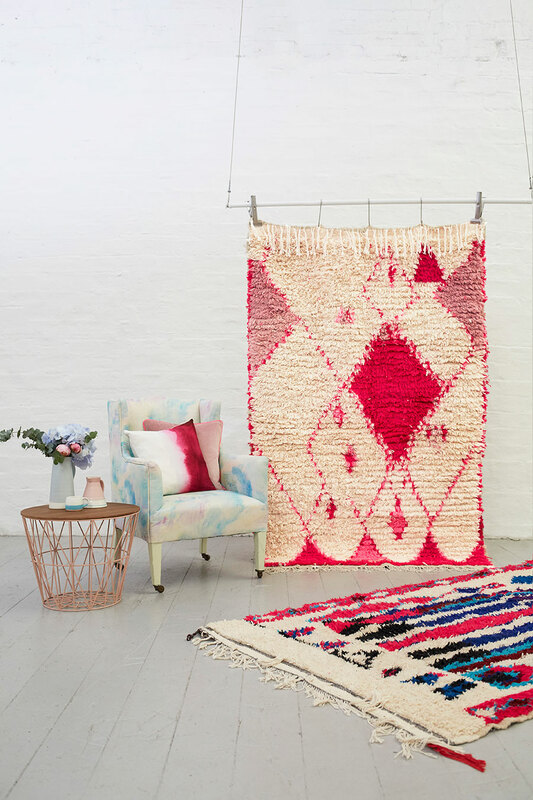 I also spotted this absolutely gorgeous Abella Azilal rug from bluebellgray the other day - found on a recent trip to Marrakesh. Just WOW, what an amazing find. Oh, how I envy the lucky person that ends up with this in their home! 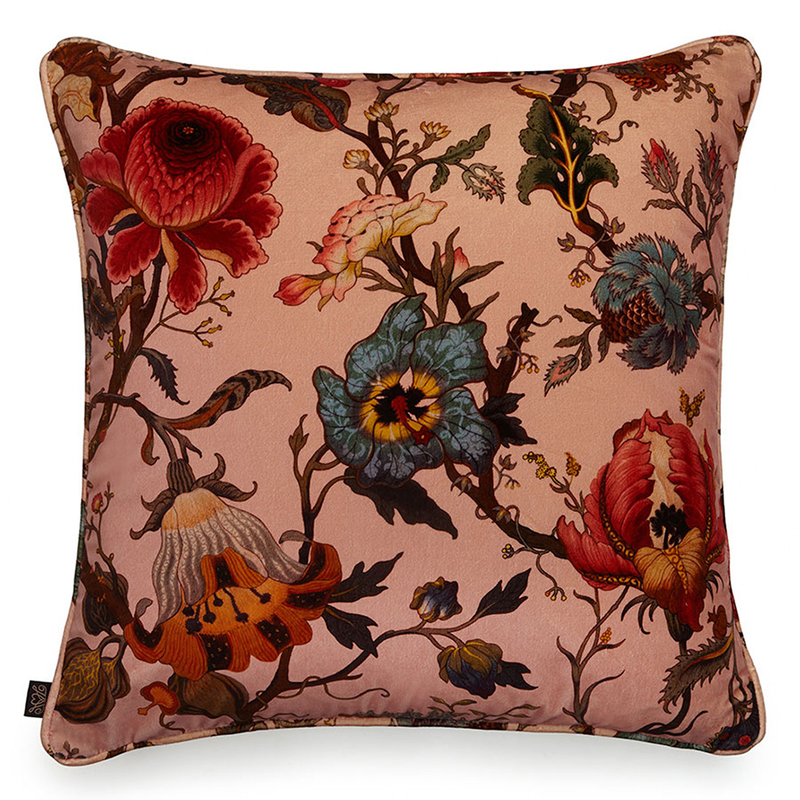 House of Hackney are also pushing the pink right now, and I think their Artemis velvet cushion in blush is pretty delicious. I love this print and again, it'd look pretty great in my living room, on THAT pink sofa! I think we're going to see lots of dusty pinks in the coming year too. Think darker murkier tones of pink like this one. I say, bring it on. Are you a pink lover or hater? 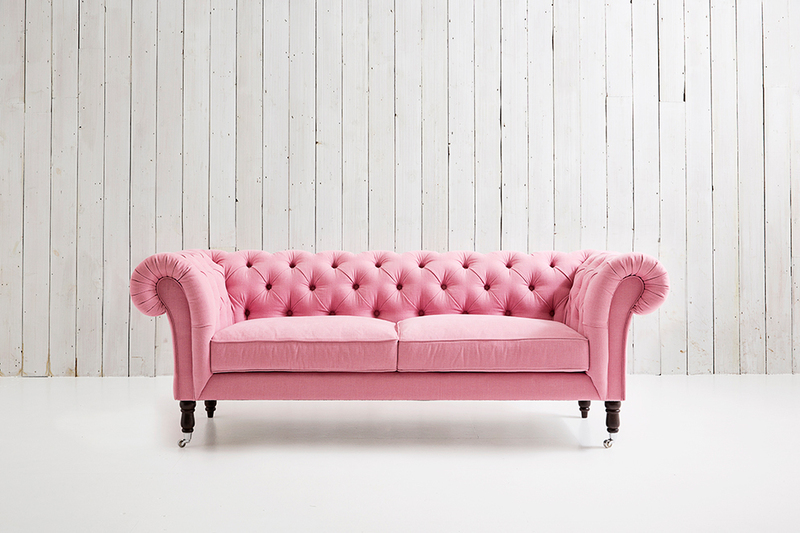 I hear so many women saying they'd love a pink living room but their husbands/partners won't 'let' them. Well, you know what I think about that, don't you?! *Whispers* Just do it! I'm not usually a pink sort of girl but found myself totally drawn to all things dusky pink at the moment. Going for a smokey blue/dusky pink combo for our bedroom when we finally decorate it properly!